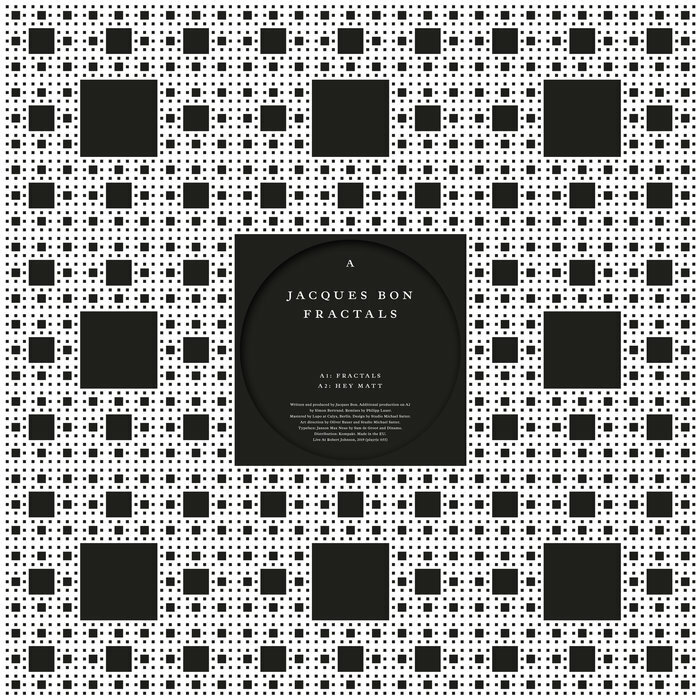 During the day, Jacques Bon can be found behind the counter at the Smallville record store in Paris, while by night, he focuses his attention on the kind of deep, sensuous house that he sells. The title track here is a stripped back, fragile groove that resounds to chimes and evocative tones, all realised against a 120 bpm tempo. On "Hey Matt", he ups the ante slightly to drop a chord-heavy groove that has a slightly woozier feel. The release also features two remixes of "Fractals" by Lauer. The first, the 'Frankfurt Beat' version, is a pulsating electronic affair, while on the 808 version, Lauer drops an irresistible, rolling take, laden down with acidic tones and evocative riffs.